VATICAN CITY (CNS) — In a strongly worded statement, the Vatican called on the government of Venezuelan President Nicolas Maduro to respect the will of the people and respect the nation’s current constitution. The Vatican urged Maduro “to suspend ongoing initiatives such as the new Constituent Assembly, which, rather than fostering reconciliation and peace, encourages a climate of tension and confrontation and mortgages the future,” said a statement released Aug. 4 by the Vatican Secretariat of State. Elections for seats on the assembly were held around the country July 30 amid massive protests and international outcry. Maduro’s push for the assembly, comprised mainly of his supporters and designed to rewrite the nation’s constitution, has led to violent demonstrations in which more than 100 people have died. “It will be a biased and skewed instrument that will not resolve but rather aggravate the acute problems of the high cost of living and the lack of food and medicine that the people suffer and will worsen the political crisis we currently suffer,” the bishops said July 27. Maduro declared victory following the election, claiming high voter turnout. While the government said that 8 million citizens voted in favor of establishing the Constituent Assembly, the company that provided voting machines for the election said the turnout numbers results were tampered with. According to the BBC, Antonio Mugica, CEO of Smartmatic, announced at a news conference in London July 31 that voter turnout result estimates were falsified by the country’s National Electoral Council. The news agency Reuters reported Aug. 2 that it had reviewed official election documents that stated only 3.7 million votes were registered 30 minutes before polls were closed. 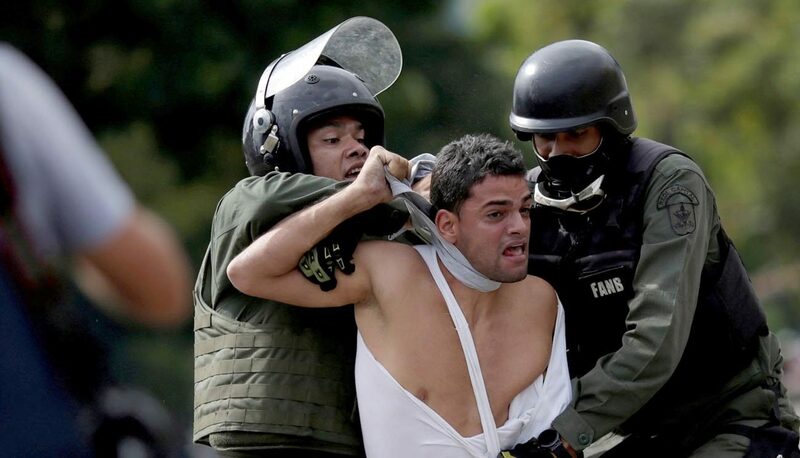 Two days after the vote, security forces raided the homes of opposition members Leopoldo Lopez and Antonio Ledezma. Government intelligence officials said both men were arrested for violating the terms of their house arrests, claiming they planned to flee the country after the elections. The pope “assures his constant prayer for the country and for all Venezuelans, while inviting the faithful around the world to pray intensely for this intention,” the Vatican said. The Vatican called for a “negotiated solution” that would provide humanitarian aid, fair elections and the release of political prisoners, and it appealed for an end to the violence that has plagued the country. “The Holy See addresses an urgent appeal to the whole society to avoid any form of violence, in particular by inviting the security forces to refrain from the excessive and disproportionate use of force,” the Vatican statement said.